Corbitt, David Leroy, ed. Public Addresses, Letters, and Papers of William Kerr Scott, Governor of North Carolina, 1949-1953. Raleigh: Council of State, State of North Carolina, 1957. U.S. Congress. 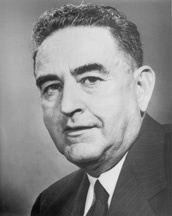 Memorial Services Held in the Senate and the House of Representatives of the United States, Together with Remarks Presented in Eulogy of William Kerr Scott, Late a Senator from North Carolina. 85th Cong., 2d sess., 1958. Washington: Government Printing Office, 1958.